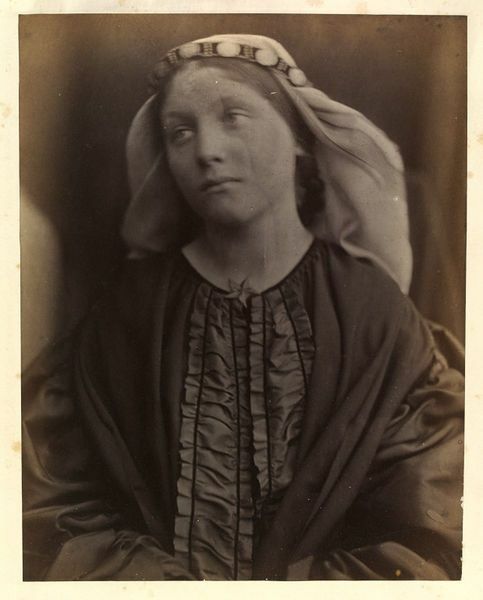 As some of you will know, I have been researching and writing a biography of Mary Hillier, maid and model to Julia Margaret Cameron. As part of this I have been following the lives of Mary's siblings, seeing what they all got up to. Out of her brothers and sisters, the one I was very interested in was her sister Sophia. Sophia was just two years older than Mary, and also found work as a maid in a famous home in Freshwater. In the 1861 census, Sophia is recorded as the kitchenmaid at Farringford, home of Alfred Lord Tennyson. Later that same year, her sister Mary would become parlourmaid at Dimbola Lodge, next door. Daughters of Jerusalem features (left to right) Mary Kellaway, an unknown woman who I believe is Sophia Hillier, and Mary Hillier, above an image of Percy Keown. As I have said before on this blog, I believe that Julia Margaret Cameron was not above pinching the Tennysons' maid for her photographs. 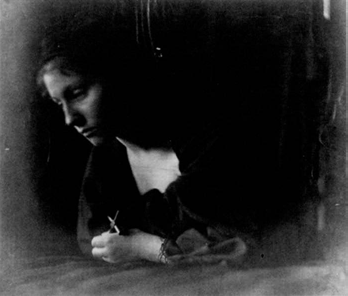 Indeed in Lynn Truss' Tennyson's Gift, Cameron has borrowed 'the maid Sophia' for a photograph in the opening chapters. 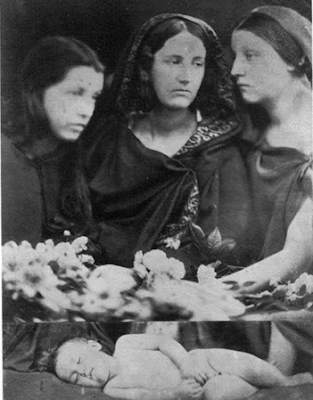 Not only this photograph contains Sophia but also others, most persuasively Sister Spirits, again from 1865. Again, we have Mary Kelleway, Mary Hillier (in the middle) and Sophia Hillier (in profile, right). This was the photograph that really tipped me off as to the identity of the woman on the right. 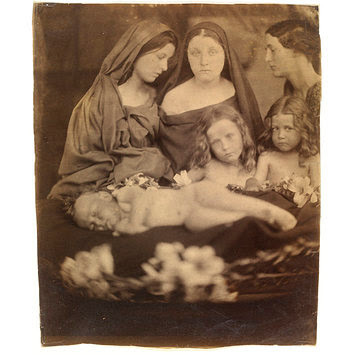 In front of her and Mary are the Keown sisters, Alice and Elizabeth, and given the title I was drawn to the resemblance between Mary and the woman next to her. It might be just me that thinks this but I would bet you a tenner that it's Sophia Hillier, playing hooky from Farringford. I trawled the accounts of Emily Tennyson, hoping to find more information about Sophia, as background to Mary Hillier. I found something a little bit more surprising than that. It seems that for two months in 1863 Sophia was absent and so Emily Tennyson turned to her near-neighbour for the use of her parlourmaid. 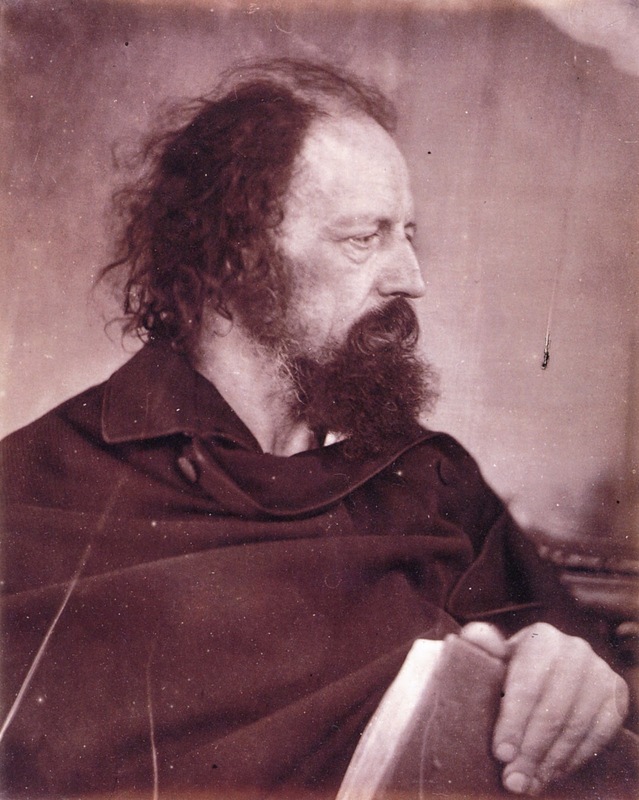 In May and June 1863, Mary Hillier worked at Farringford, for Alfred and Emily Tennyson. There is no hint in Lady Tennyson's diaries as to what had happened that caused Sophia to take time off. The Tennyson family were all vaccinated on 19th, but there is no mention of whether Sophia was ill afterwards. In November 1868, Emily records that 'our poor kitchenmaid' had contracted typhoid fever which she feared would spread in the house. Whether or not Sophia was still their kitchenmaid in 1868 (as she was in 1861) is unclear, but had Sophia been seriously ill in 1863 it is likely that Emily would have mentioned it. What she did mention in her accounts was that on 23rd May Mary was paid 8 shillings 'in Sophia's absence'. On 13th June, another payment, this time for 2 shillings and 4 pence was made to Mary, so it can be guessed that Mary covered for her sister for around 5-6 weeks. It was an interesting 6 weeks. 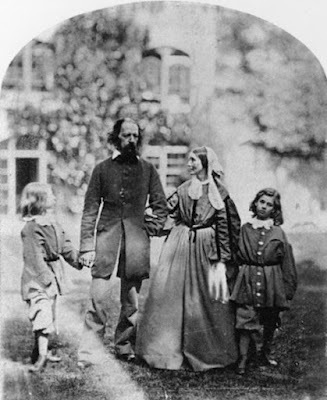 In early May, Oscar Rejlander came to Freshwater to photograph the Tennyson family and work with Julia Margaret Cameron (see this post about the Idylls of the Village). I always thought it was funny that, although working at Dimbola Lodge at this point, Mary Hillier doesn't appear in any of the photographs. Then the idea struck me that possibly she was assisting behind the camera. 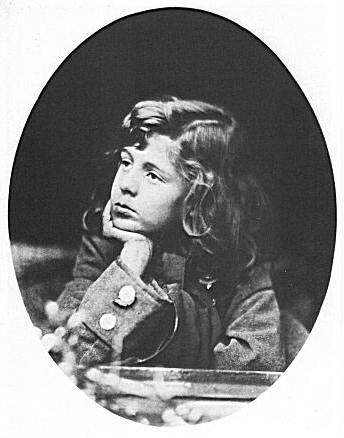 When her sister required leave from Farringford, and the Swedish photographer arrived at the Tennyson's home to take pictures, Mary Hillier arrived as well. Looking at some of the images of Oscar Rejlander's wife (who often appears in his photographs, such as I Pray above), I am reminded of images of Mary by Cameron. It seems surprising that he didn't use her in the Idylls of the Village as she is his 'type', but then if she was naturally skilled as a photographic assistant, he might have valued her help behind the lens and in preparing the plates. 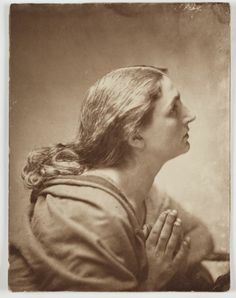 If Julia Margaret Cameron collaborated on the images Rejlander took in 1863, then Mary might have been at her side and then at Rejlander's disposal at Farringford. Furthermore if Cameron was preparing to have a camera herself, she might have appreciated Mary being trained to assist behind the camera, as well as being its subject in front of the lens. The descriptions of life at Dimbola always give quite a laid back impression. Guest such as Henry Taylor comment on the hectic atmosphere, the lack of meals, the somewhat casual housekeeping (not that there is anything wrong with that), all for the creation of the photographs. Working at Farringford must have come as a bit of a shock for Mary. In many ways the ethos of the households were similar: the art was all. I had the particular pleasure to read through Emily Tennyson's handwritten 'General Order for Domestic Staff'. These orders cover everything from the order of rooms to be cleaned, remaining quiet and not chattering, to personal hygiene and hair brushing. To modern eyes being told to brush your hair seems a tad insulting but considering publications like Mrs Beaton's manual, to tell your servants exactly what you expect from them and when saves any confusion. If it is true that Julia Margaret Cameron hired Rejlander to come and photograph Tennyson and his family, maybe she too arranged for Mary Hillier to be there, to assist the photographer and be of service to her beloved neighbours. Whilst the reason for Sophia's absence is unknown, Mary is definitely there to replace her sister for a short period, as recorded by Emily Tennyson. 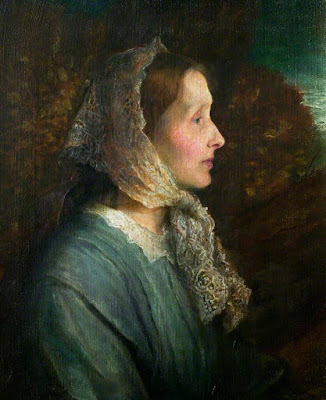 In her local newspaper interviews when she was an old lady, Mary Hillier claimed to have known Tennyson, and I had always presumed that was because of her service with Mrs Cameron, but I'd love to know more about her six weeks working for the Tennysons at Farringford. I can't wait to read this story. 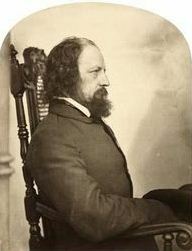 I wish there were more information on Tennyson's sister, too. That difficult to find. You always do such great justice to little known figures who REALLY had interesting and yes, sometimes sad lives. But aren't all lives sad at some point. Not all dark moments define who we are or were. Good luck.